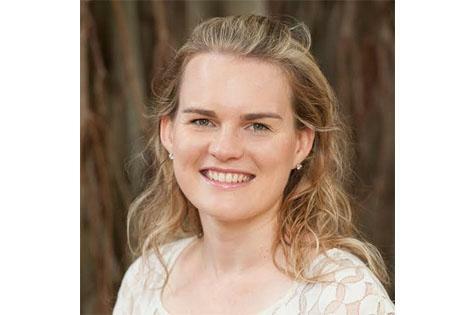 Emma is passionate about her online retail business, Wooden Wonderland, and kind to share her business insight and how she started the journey to bring the highest quality wooden products and offer one of the largest ranges of wooden toys and games for Australian families. Answer: I actually found the business for sale on Gumtree! It was the 2014 Easter long weekend and I was having a general browse on the internet and ended up looking in the “businesses for sale” section. I wasn’t actually looking to purchase a business at the time, but you could say I got a bit caught up in the moment and was really impressed by the business name and concept and decided to take the leap. Five days later we had a signed contract and I was the new owner! 2. What’s your company’s goals? Answer: Our goal is to be able to service customers Australia wide with the largest range of wooden toys available in any one place. Answer: Currently it is just me and one other employee. However, in the lead up to Christmas we do hire a number of additional staff members to assist with the peak retail season. 4. How do you advertise your product/service? Answer: Facebook has been our primary means for advertising Wooden Wonderland. We also have ads on a few website and also feature in print advertising from time to time. However, facebook advertising has by far been our most successful advertising method to date. Answer: Learning from everyone and everything! I participate in as much self-education as possible and I am constantly on the lookout for new processes and methodologies for ensuring we keep up to date with technology and industry trends. 6. Will you suggest other new entrepeurneur to use services of a professional accountant or attorney? Answer: We hired the services of a solicitor to assist with the drafting of our terms and conditions, however, aside from that we have had no real need for legal assistance on an ongoing basis. This initial legal advice was certainly worthwhile to ensure that we were starting off on the right foot. We do utilise the services of an accountant and I would suggest that all entrepreneurs do so. There is so much to do when running your own business that some aspects are best left to the professionals while you focus on growing your business. 7. What do you look for in an employee? Answer: Attention to detail and pride on their work. We pack thousands of orders each year and sending out incorrect products can be a costly mistake. We look for employees who take great pride in their work and are attentive and accurate in the tasks they undertake. Answer: We only sell wooden toys! 9. What are your days like, as the business owner? Answer: My days are long and varied. I also juggle caring for two children for part of the week, but I am generally at the warehouse every day. Most days start at 7am and I always try my best to be home by 6pm – managing a rapidly growing business takes a lot of time! The mornings consist of ordering stock, assisting with the unpacking of new stock arrivals or packing customer orders and the afternoons consist of marketing activities and responding to customer enquiries. 10. Have you ever turned down a client? Answer: Yes. We receive requests to supply products to other retailers from time to time but we have made the decision to focus on being a retailer only and not take on the role of wholesaler as well. Answer: Expand and grow only at a rate you are comfortable with. Wooden Wonderland is growing quite rapidly month on month, however, we have always ensured that we are cash flow positive and only grow at a rate that can be sustained and managed both financially and personally. I am certainly not suggesting to slow or stifle growth, especially when you are running a high growth start up company, but just to manage it so that you always feel as though you are in control as much as possible. Answer: All products we stock and sell meet Australian standards and non-toxic paints are also used as standard. The wood in all of the products we sell is also ethically sourced from sustainable, certified forests. We have a focus on stocking premium wooden toy from throughout the world that have been manufactured in a socially responsible manner. 13. How does Wooden Wonderland stay ahead of competition in terms of cost and pricing? As we know, Australian dollar is on the fall and it will certainly hitting the bottom line of every businesses. Answer: The Australia dollar is hitting us really hard at the moment. Almost every single one of our suppliers (we have over 20!) have significantly increased their prices this year because absorbing the 20%+ drop in the Australia Dollar has just not been possible. In turn, this has meant that we too have had to increase our prices over the course of the last six months. We are now operating at lower margins than we were twelve months ago simply to be able to provide quality wooden toys that are still at a price point that our customers are willing to pay. We don’t look to the competition to price our products. We work off set margins for different brands and let our customer service do the talking. We are certainly not the dearest toy shop around by any means and always strive to be as competitive as possible, however, we are not a discount retailer either, and never intend to be. We offer quality products and a quality service.